I'm the type of person who likes lists. When I write a "to do" list it keeps me focused, partly because I love ticking things off when they're done! Yes, top of my list is my Kaffe Fassett quilt from Kaffe's class in Wellington in January 2016. 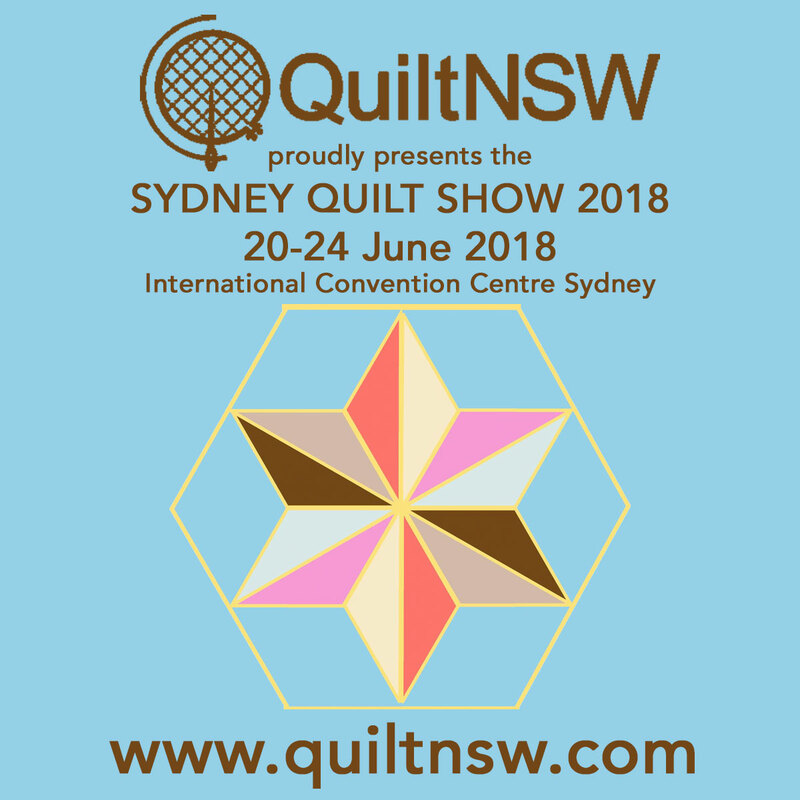 I'm almost finished the hand quilting, and would love to have the binding on before Kaffe and Brandon return to Wellington on 28 January. I've pieced two thirds of the top, so I just need to finish the piecing and then hand quilt it. This is a small quilt because the challenge has a size limit. Entries close on 12 March 2018. Our guild is having an exhibition on 10 August 2018. I would like to enter something new so I've started piecing something on the quiet. Again, no photo because it's a secret. I've started machine quilting this quilt myself. I just need to decide when enough is enough, and add the binding. These are the blocks I won in our guild's Block of the Month. This quilt is basted now and I want to hand quilt it with red thread. I picked this up again last week. It's months since I worked on it, but I'm determined to make progress on it this year. 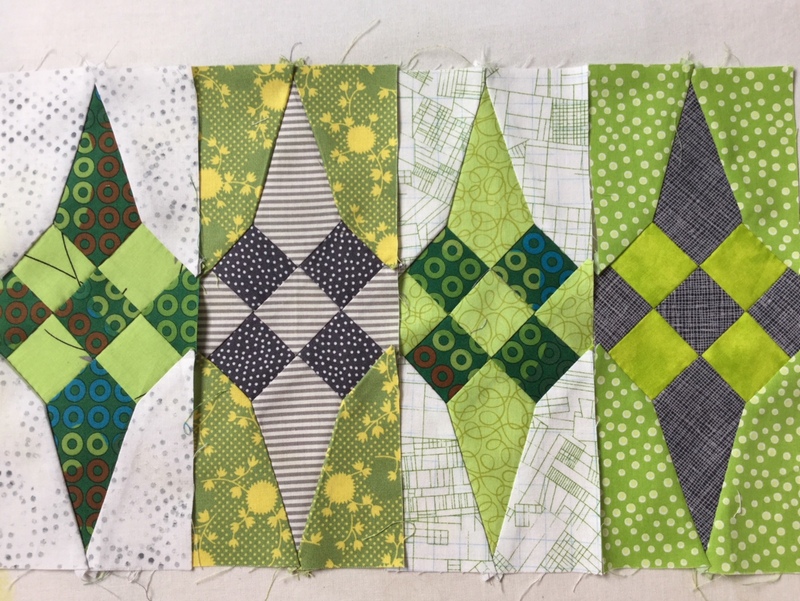 I've got lots of fabrics set aside for it and I want to reintegrate those fabrics back into my stash if I'm not going to need them for this quilt. I actually think this quilt is more complex than la passacaglia! Just as well I did the "easy" one first. I love the colours in my Glitter quilt, and can't wait until it's on my bed. Unfortunately progress is slow because I'm hand piecing it. I love this quilt too, but again it's labour intensive because it's Foundation Paper Pieced. I have to decide on my approach for the background stars. It's all set aside and ready to tackle when the mood strikes. Back in December I was sitting through my son's school prizegiving and I had a good idea for a quilt. I've made a small start on it, but it will be a long term project so it's tucked away now. Yes, there are three Kaffe quilts I'd like to make if I get time (ha ha!). Green Diamonds will be started at the class on 28 January. I think most of the cutting out will be done at the class, so I'll just need to sew it up. I've also been admiring another quilt from Quilts in Ireland, and one from Quilt Grandeur. I have a huge Kaffe stash now after I bought a lot of pieces off my friend, Anne. So I certainly have the supplies to make these quilts - I just need the time. So - that's 2018 planned out. I wonder how many I can achieve from this list. I'm certainly hoping for six. That would make me very happy. I am a list person as well. It feels so good to check things off and makes me feel like I'm headed somewhere. Fantastic list. You've got a great start on many of your projects already! Wendy, I don't think I have ever posted a comment, but I love following your blog and enjoy your patterns. I think you may have convinced this girl in Oregon to start making lists. Focus is my word for this year and was for last year & I am beginning to see results, albeit, not as fast as I like, but it is working. I am cheering you on. What a wonderful post, all those colourful fabrics and designs have made my mouth water. 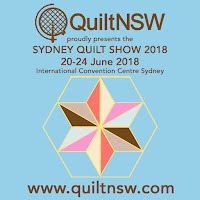 Love the Sue Spargo quilt, the colours and fabrics are fantastic. Hope you enjoy your time with Kaffe and Brandon. Recently read Kaffe's autobiography, a super birthday present from my dear friend. Love, love, LOVE that scrappy HST quilt!! Weren't you the lucky one? Happy finishing! Good luck with your projects - they are all so colourful and vibrant. I made a (very long) list too as I was hunting through my stash for a fabric and found some forgotten UFOs or fabric collections...will just start on doing two lap quilts and four new cushion covers for our lounge. Then will see what happens after that. I can see that it is going to be another very productive and Kaffey year for you, Wendy! I'm trying to finish my wips before starting anything else new (Solstice Dream being the exception), can't wait to see all your Kaffe projects.